Students work through their CVC book one short vowel at a time. 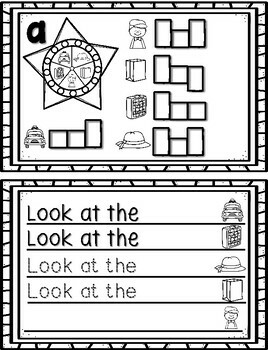 You can include the short vowel sound review page at the beginning within the book or leave it out as a guide for students as a visual. *Students will spin using a paper clip and pencil. 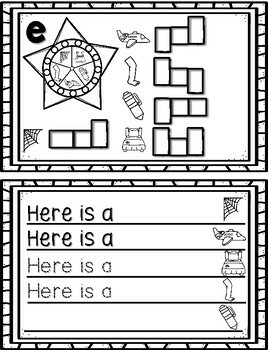 They will color the space they landed on, and write the corresponding word in the configured boxes next to the matching picture. 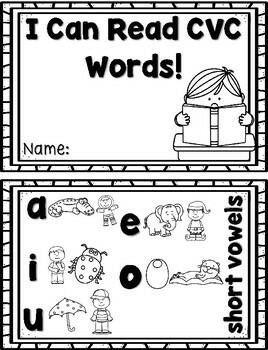 *On the second page, they will complete the sight word sentence using the new CVC words they have just practiced. 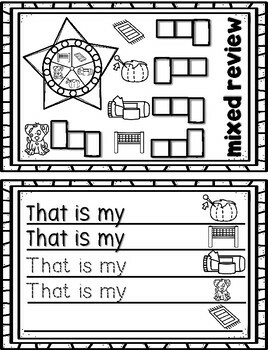 They will read and complete the first two, read and trace the second pair, and write the last sentence independently. *The last page can be used as a review or an assessment, as all short vowels have been mixed together.